The Macanudo Inspirado Red is a full-bodied offering representing the marriage of rich volcanic soil and profound aging techniques to achieve unmatched strength and refinement. Dressed in Ecuadoran Habano ligero and blended with rare tobaccos including twelve-year aged Nicaraguan Ometepe, ten-year aged Honduran Jamastran and five-year-aged Nicaraguan Esteli, Macanudo Inspirado Red is bound with hearty Nicaraguan Jalapa. Enticing notes of pepper and spice reign, transcending the experience of Central American tobaccos to the point of sublime. Macanudo is the best-known cigar company in the world, and they are not just the best-selling brand that is owned by the folks at General Cigar Company, but rather the best-selling cigar brand that is in existence. They do this because not only are their cigars produced en masse and at prices that allow almost any cigar shop humidor or online cigar shop to be able to afford to stock them, but also because the cigars are approachable. If ever you are looking to introduce a friend, a family member, even a loved one to the world of cigars that you may enjoy, you will want to make sure that you use something like a Macanudo cigar to make that introduction. The Macanudo Inspirado Red cigar line is a brand new line with intentions of elevating the complexity and boldness of it's flavors. We have the Gigante offered here, although it is still affordable and is in the price range of a lot of premium cigar brands’ common offerings. 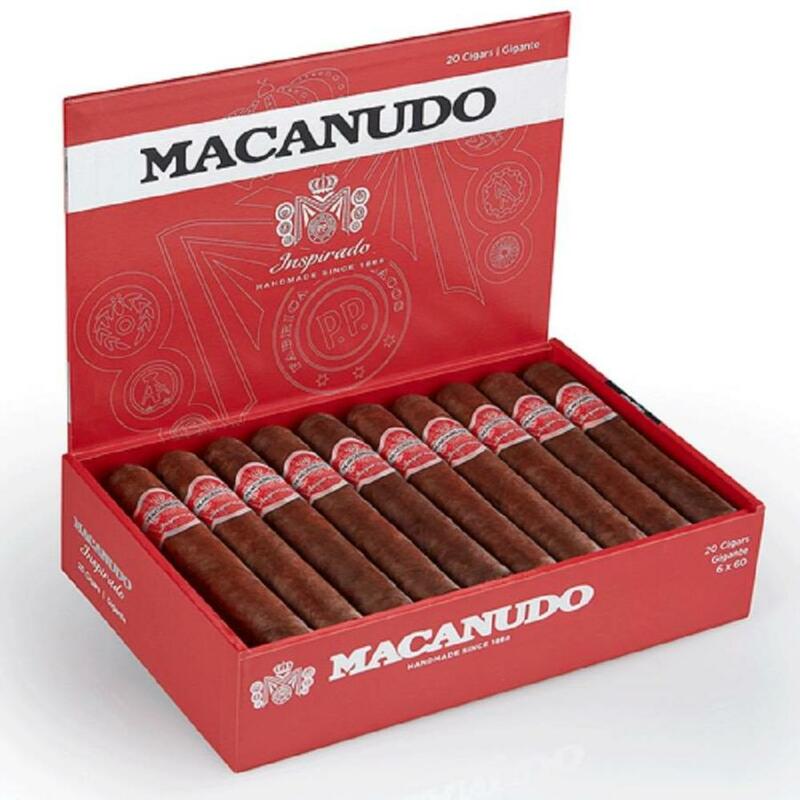 The Macanudo Inspirado Red Gigante begins with specially grown Ecuadoran Habano wrappers that are encasing a fine blend of aged long fill Nicaraguan and Honduran tobaccos. This creates a cigar that is bold and full-bodied due to the marriage of rich volcanic soil and profound aging techniques. Enticing notes of pepper and spice dominate the blend creating an entirely new smoking experience for anyone used to the subtlety of the Macanudo Cafe line, it's flagship cigar.